The IKM Tour & Training experience is an unforgettable vacation, created to those that believe that lying down on the beach and looking to the bright blue sky is not their taste of vacation. IKM offers a one in a life time experience, which combines visits to unique sites and training in the most realistic combat system used by Special Forces around the world and many others who wish to gain the ability to defend themselves against every day's violent situations. The IKM Tour & Training takes place in Israel, a beautiful Middle Eastern country mostly known as a sacred place for Christians, Jews and Muslims. Our students will enjoy the beautiful beach and night life of Tel Aviv, Training on the top of Mount Masada overlooking the beautiful Negev desert, a swim in the Dead Sea - the deepest place in the world known for its healthy minerals, panoramic view to the Syrian and Lebanese borders from the Golan Heights and a night in Jerusalem - one of the Holiest cities in the world with breathtaking tour in the Old City. 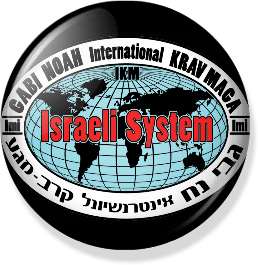 But Touring is not everything in this vacation; during the week our clients will be trained by the “Gabi Noah International Krav Maga” team of instructors, who has vast experience in training military forces, police units, Special Forces and civilians in Israel and around the world. IKM offers the opportunity to practice Krav Maga where Krav Maga was born and being used in reality every day. Starting from the basics, our students will experience Hand-to-Hand combat techniques using their natural instincts in order to defend against unarmed attacks and attacks with varied weapons, including knifes and sticks and more.